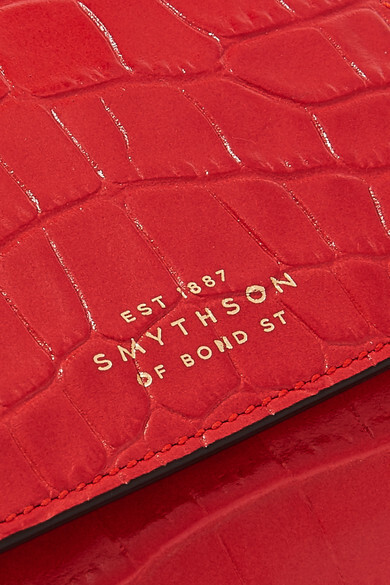 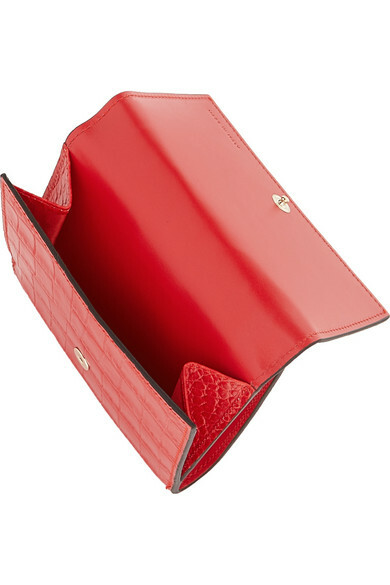 Smythson's compact wallet has plenty of space for the essentials. 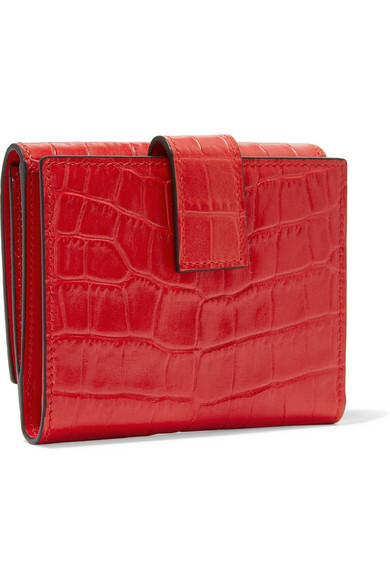 Detailed with hand-painted edges, this 'Mara' style is crafted from panels of croc-effect and smooth leather and features eight card slots, a bill compartment and snap-fastening pocket for storing loose coins. 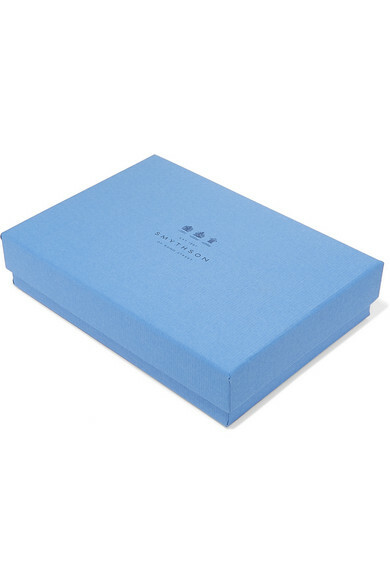 It makes an ideal gift for frequent travelers and fans of the brand. 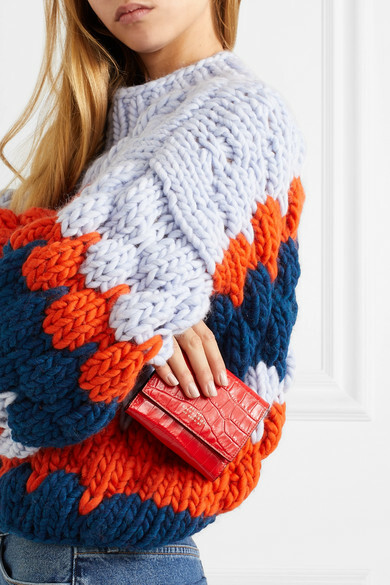 Shown here with: Goldsign Jeans, The Knitter Sweater, STAUD Bucket bag, The Row Sandals, Sophie Buhai Earrings.